High-impact, Visual Entertainment with Side-splitting Comedy Suitable for the Entire Family! Berkle delivers a hilariously fun-filled, high energy show with intense audience participation that is sure to bring the house down! Your guests will have the special opportunity of interacting with a live, six foot tall character who thinks he is the greatest magician in the world. This is NOT your ordinary magic show and is a MUST see! 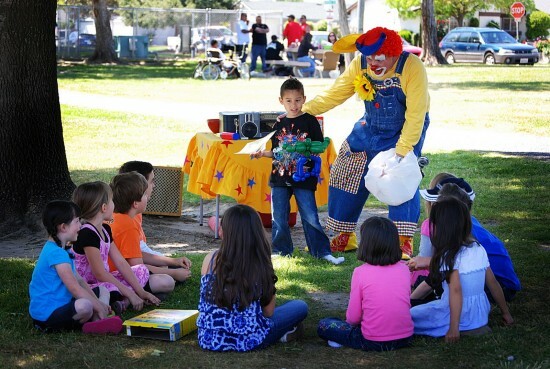 Berkle offers several packages including balloon twisting, strolling magic, close-up magic, games, etc. I had reserved Berkle the Clown for my 7 year old grandsons birthday party, and to see my grandson so excited and his friends all laughing with joy to the show Berkle did, was great! My grandson was given a birthday certificate and a special balloon character which was absolutely amazing! Berkle, Thank You so much for the outstanding performance you provided our party! I will 100% re-hire you and recommend you to everyone I can, you had every child engaged in fun! Again, Thank you!! 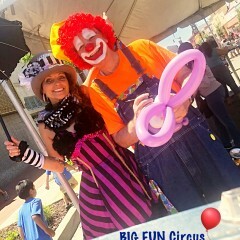 Berkle was hired as a balloon twister to be a part of our BIG FUN Circus team for a vety busy street fair in Manteca. We had a giraffe unicyle/ juggler, a stilt walking muse, and myself , Miss Happy , running the BIG FUN Bubble station and kid zone activities. So, as you can imagine, Berkle was the perfect match for us! Not only was he on time, communicative and prepared, but he also came dressed to the nines in full clown gear! There was a long line all day long for everyone who wanted a slecial balloon, made by Berkle. We would love to team up with him again, and recommend that you do too! :) Thanks Berkle! Berkle arrived as promised,very prepared. He was awesome with the guests and kids.Very professional. My daughter is still watching her video. Thank you. Recommend for any child party. We had a joint birthday party for our two boys and Berkle had quite a large crowd of kids to entertain. He was so good at keeping all ages entertained. From doing magic tricks that left the kids puzzled and giddy to having a line around the block for balloon animals. Berkle never lost his cool and made sure all the kids were happy. We were very happy with his talent and his generous and professional attitude w/partygoers. We would definitely recommend him to anyone looking to hire an all-around entertainer!! I have to say a lot of the adults at the party were very impressed with his presence. Some of the adults were scared of clowns and they even said they felt he was approachable and fun for everyone!! I booked Berkle for my son's 1st birthday, a special event, so I had high expectations. From the very begining I was please with the professionalism and ease in booking and communications. This stayed true day of event. My guests young and old enjoyed the talented Berkle the Clown. Thank you! Berkle the Clown was everything I expected. He did a great job making balloon objects that the kids loved! Thank you, Berkle! Berkle the clown was very funny and had all the kids attention! They were all laughing...my son loved him! He says it was the best birthday ever. His favorite part of the show was when Berkle the clown turned milk and brown sugar into chocolates! He is awesome! Berkle was great!! The kids loved the magic show at the end!! I would recommend him for birthday partys etc..His price was the lowest I could find..Overall kids had an awesome time!! 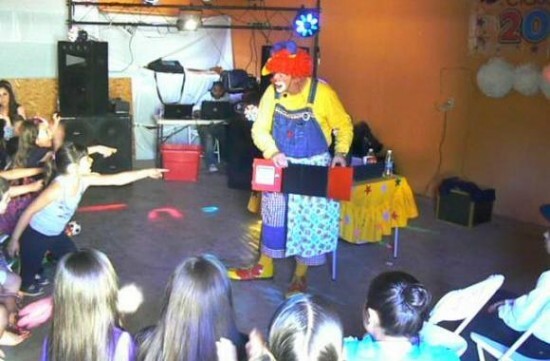 I hired Berkle the Clown or my sons 6th birthday party. I was not disappointed. Berkle had the children's attention from beginning to end. My son is still talking about having Berkle come. Thank you for making his day amazing!!!!! Berkle's unique blend of comedy, music, and magic will transform the normal birthday party into an eye-popping event your child will never forget. As a super-sized party guest, he will have your guests imagining the the most ridiculous things as they are drawn into his world of make-believe and magic. Imagine having an interactive, comedy magic show right in your own living room where your guests have the freedom to become a part of the show while being entertained! You will get the biggest kick out of seeing that colossal smile that suddenly pops with pure delight as Berkle presents your child with one of his awesome, custom-made balloon sculptures! Or the bewilderment as he magically produces a special gift for your child right before their eyes! Imagine the shock and awe when he ropes an unsuspecting adult into one of his hair-brained magic tricks! (kids love this). Or watching your guests up on their feet dancing to the classic children's rock songs they love as they engage in Berkle's interactive, musical games and dancing...it will warm the cockles of your heart! regarded as a wonderful host/hostess; A Star!! the child in all of us. Each and every performance is an experience your guests will long remember. Making you the talk of the town! Why take a chance on the most important day of your child's life? His shows are audience tested and guaranteed to generate a house full of belly-laughs! He offers several packages designed to suit any entertainment need and any budget. Berkle is extremely proud to add this incredible package to his list of entertainment programs for 2016. 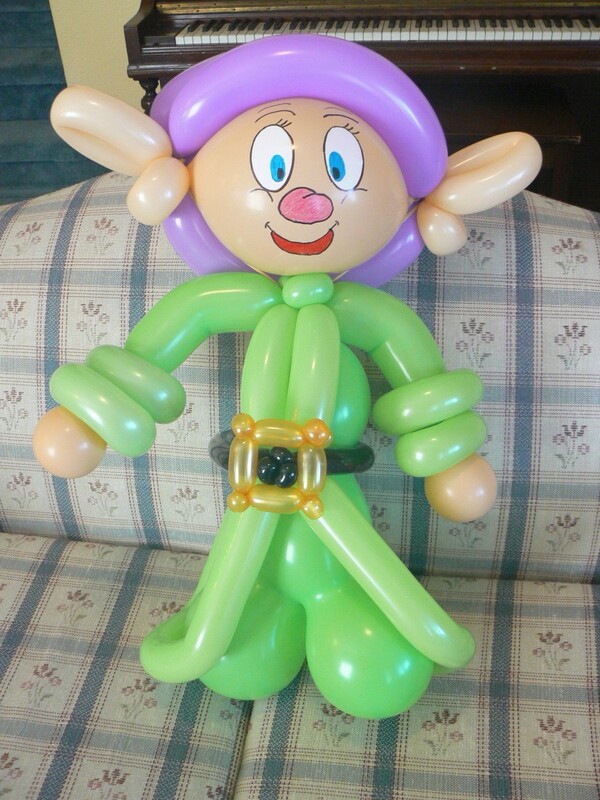 Berkle will arrive at your camp, library, school, or birthday party with all of the necessary balloons. Any indoor room is the perfect place to have the show and workshop. Imagine seeing the excitement build on the children's faces and seeing their jaws drop with anticipation for the show to start as Berkle walks into the room carrying hundreds of colorful balloons all blown up and ready to be twisted into artistic creations! The children will be on the edge of their seats as Berkle explains the activity! 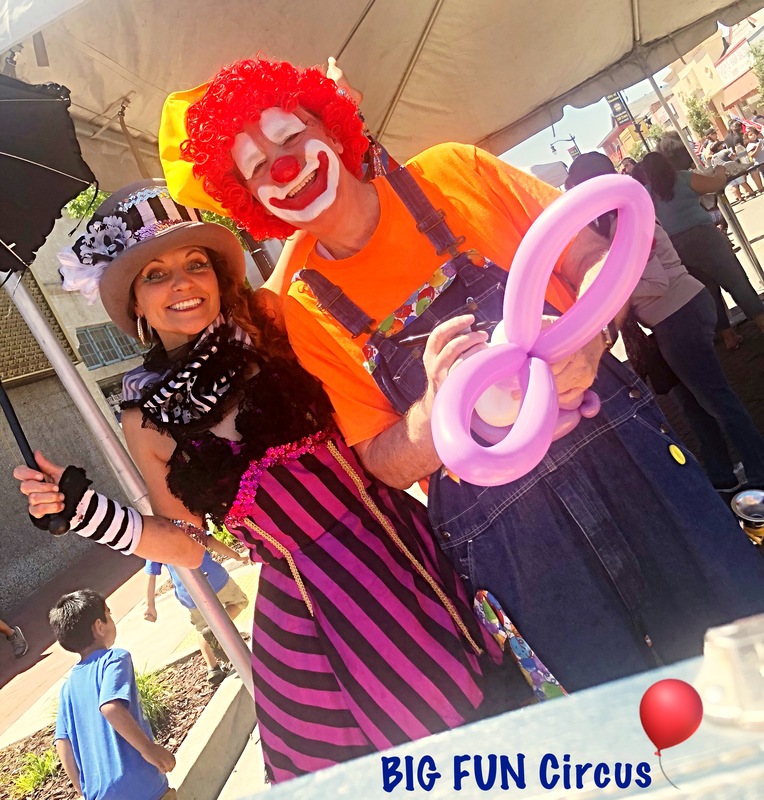 The program is a 30 minute interactive, fun magic show followed by a 60 minute balloon twisting class where Berkle teaches the children how to make four exciting balloon creations. That's right, a balloon twisting class where they are actually taught how to make their own balloon creations. Imagine your child coming home from a workshop and proudly proclaiming, "Mom, look what I did!" as he holds up a balloon belt, wand, dog, and crazy hat. The balloon school provides a personalized, project-based learning environment which stimulates creativity, refines motor skills, builds social and emotional skills and motivates children to explore and experiment all while having a blast! Adults are admitting they have as much fun as the kids! After-all who hasn't ever wanted to try their hand at some balloon twisting...right? Upon completion of the four balloon creations, Berkle turns on the music and the children get to turn on their imagination to twist and create anything they want! At the conclusion, all of the children and all of their balloons come together for a super picture that creates super memories! Balloon twisting for as long as you need and includes a fifteen minute comedy magic show just before he leaves your event. The fifteen minute magic show enhances the traditional balloon twisting experience by providing your guests with an unexpected treat that let's them know how much you appreciate them. This package is a type of meet and greet comedy magic that sets the tone for your event. It is perfect for large gatherings of family and friends for birthday parties, family reunions, block parties etc. Choose your character from Berkle, Dexter, or the Great Spumoni and he will show up to your event as an "uninvited guest" and start hobnobbing with your attendess. Utilizing his "good looks", charm and savoirfaire your character becomes a strolling magician who will get your event off to a lively start as he performs... uhumm...amazing feats of magic by breaking the laws of physics, predicting the future and reading minds. Berkle performs his forty to fifty minute comedy magic show that is packed with magical silliness, fun music, sight gags and intense audience participation. You will have a blast watching him transform your child into an old fashioned water pump, a magical candy baker and a human magnet! You will want to be sure to have the camera ready to capture these special kodak moments! As a bonus, the guest of honor is presented with a special balloon creation, commemorative certificate and a special rendition of Happy Birthday sung by yours truly. Before performing his celebrated comedy magic show, Berkle engages the children by playing some fun and silly games with them.This is a great way to break the ice with the children and to prepare them for the magical fun that is yet to come. Besides, nothing could be more fun than playing games with a real, live clown! By far the most popular package! It includes the forty minute comedy magic show, along with the special balloon sulpture for the guest of honor, the commemorative certificate and the special rendition of the Happy Birthday Song by yours truly. The best part is Berkle makes balloon animals for all of the children after the show! Total running time is between sixty and ninety minutes. A full two hours of fun games, hilarious magic, and of course balloon creations. Of course the guest of honor becomes the star and is presented with the special balloon, certificate, and the special rendition of the Happy Birthday Song. Total running time is two hours. 1. Berkle has been creating belly-laughs for over twelve years for both the young and the young at heart. His shows may be designed for children but parents often admit that they enjoy the show as well. Many are surprised at how easily younger children warm up to him particularly those little folks who tend to be timid in the presence of a clown. 2. Audience participation is tantamount. Berkle provides the unique opportunity of being IN a magic show instead of just watching a magic show! With that in mind, children are treated with the utmost respect and are never humiliated or made to feel uncomfortable. 3. You are booking an experienced performer whose show is audience tested over the course of twelve years. He LOVES making children and families laugh by keeping the show constantly flowing with his silly antics. Berkle's Motto: "Entertainment Must Reign Supreme." 4. Berkle personalizes each show by involving the guest of honor as much as possible to ensure the event is all about him or her. After all, it is only fitting that your child receives the special treatment he or she deserves. 5. He goes the extra mile by offering a service that is unique. For example, his balloon twisting package includes 15 minutes of cool magic. This is his way of adding that extra little "twist" that increases the entertainment value to your party and let's your guests know how much you appreciate them. 6. No one entertains children quite like Berkle. You just have to see it to believe it! 7. Berkle's show is fun, entertaining and a barrel of laughs. This comment by one of his clients says it all. Louie's birthday party was perfect thanks to you. You are so great at what you do. You came all prepared to get the kids ready for the show. I was laughing with the kids. You even got the older kids to interact with the little ones! The kids and parents were smiling from the beginning to the end. All the parents were asking me about you, so be ready because you are going to get some calls!!! I asked my son what was the best part of his party and he told me "McDonald Berkle" ha ha ha. Berkle, You made my Son feel VERY SPECIAL and I can't thank you enough. Thank you, thank you, thank you! Thank you for making our party a BLAST! 8. Generally speaking, when you take a 4 or 5 year-old to a birthday party they sit for a second then they are off doing something else.This does not occur during Berkle's shows. The children are riveted to their seats! 9. As a measure of his confidence and professionalism, Berkle offers a 100% money back guarantee if you are not completely satisfied. 10. His shows contain four key elements children love; silliness, magic, music and above all, interaction.